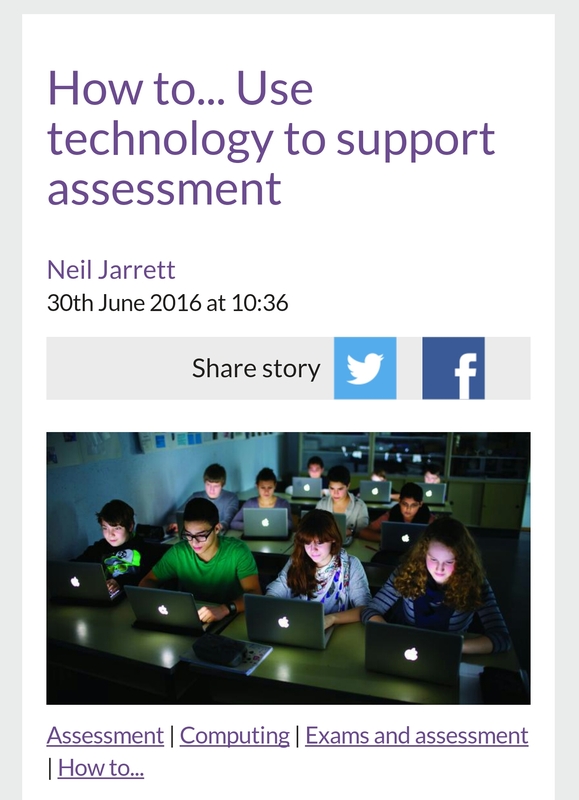 My article for the TES: How to… Use technology to support assessment. I recently wrote an article for the Times Educational Supplement (TES). It was about ways tech tools can support assessment in the classroom. Have you got any other tech tools which help when assessing pupils? Leave a comment below. Previous Challenge your pupils to design an App! Next Schoolsask: an excellent way for teachers to share knowledge and ideas.